Follow the directions below to view your exam schedule in Student Center. Locate the "Academics" section on the Student Center. 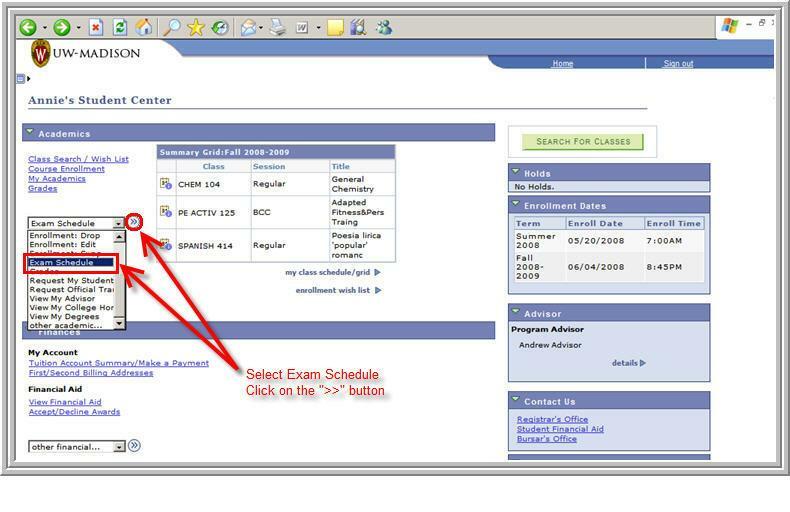 At the bottom of that section there is pull-down, select Exam Schedule and then click on the >> button to the right of that pull-down. 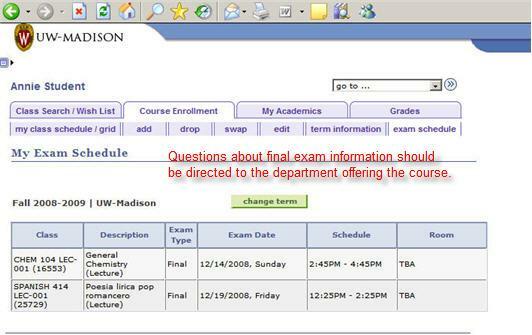 Further questions about final exam information should be directed to the department offering the course.